Consistent kratom use in high quantities can lead to addiction and tolerance. The effects are similar to opiates and stimulants. This cause problems for people that have used the plant for a while and now want to quit. For some, quitting kratom is not a dance. You may go through a little bit hell. Good to know so you can be mentally prepared. And prepared for some unpleasant emotions, like depression and anxiety. This is why detox is important when you want to put kratom off. 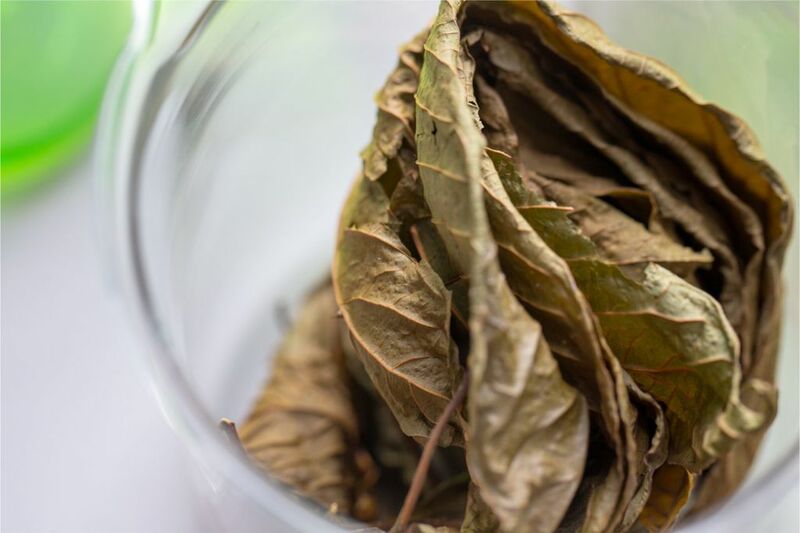 2 Why Avoid Quitting Kratom Cold Turkey? Kratom can release dopamine in the brain, the mighty brain chemical that makes us feel human. It’s critical for your brains reward system. Your brain loves dopamine so much that it will make you repeat the same behavior that caused all the pleasurable release. In this case: take more kratom to feel euphoria and all the plethora of good feelings and benefits. But what if you suddenly, cold turkey, cut kratom off? Withdrawal and you basically crave kratom sooner or later. Plus, kratom works on other specific brain receptors that are perhaps why you absolutely should not quit cold turkey. That is, you want to avoid kratom withdrawals? Why Avoid Quitting Kratom Cold Turkey? Besides dopamine, content in kratom (alkaloids) works on opioid receptors in the brain. Quitting cold turkey makes your brain respond by sending you withdrawal symptoms. Because the same receptors that are used to the quantity of kratom, whatever that may be for each individual, has vanished. It’s possible to cut off kratom without experiencing harsh withdrawals by tapering down slowly. You’ll still feel uncomfortable but you ‘ll also give your brain time to adjust safely. You want to carefully reduce the amount you take so your brain can heal. Combine that strategy with water and food that fuels your detox system and you are on the right track to quit kratom. Let’s say you are used to 10g of kratom daily just to make stuff simple to understand. Instead of taking a full 10g dose, you reduce the amount by 500mg. Do this for three days and then cut of 500mg again. This method lets your brain adjust slowly so you can get away with 9g next time without harsh withdrawal symptoms. When you carefully cut doses with a strategy you’ll eventually need 3g or less or nothing at all. This is the best way to go about quitting kratom. The thing is, everyone has to cut off different amount depending entirely on each individual and their level of dependency etc. Somewhere between 300mg and 500mg seems to work fine for most people. Another powerful step when you quit kratom is to detox your mind and body. Detox can be done at home just as effective as if you paid. You need to eat fruits and vegetables because they support your own body’s cleaning system, which is the most effective way to detox. Forget about footpads and such. Every day you should also drink a lot of water. Only drink water if you want to quit kratom effectively. No soda or alcohol. Coffee is okay, the right coffee is tasty. Water is also key to a great detox routine. Take Epsom salts baths if you have a tub at home. Epsom consist of both magnesium and sulfate. Both are helpful to detox and flush away toxins and waste you don’t need. Besides the cleaning, you’ll also get very relaxed by the salt bath. Invest in core supplements like krill oil, magnesium to take orally, and vitamin d if you live in Siberia and have no access to the sun. Spirulina powder is perfect for detox. It can tase like garbage for some people, but still, spirulina gives you crucial minerals and vitamins your body uses to fuel your natural detox system. Don’t rely on or pay for expensive products. Give your body’s cleaning system what it needs and the rest will be taken care for you. Detoxing will also help with the physical emotions that leaving kratom behind can cause, depression and anxiety. To really kick-start your natural detox system in your body you should drink a lot of beet juice. Beet juice is a great fuel for your body to produce glutathione, a powerful antioxidant critical for liver detoxification. Quitting kratom can be easy or hard. There’s not a secret formula to just make the addiction disappear. Take each day at the time. Try to eat healthy and go for walks. Sweat it out. Go to a sauna. Just do something to keep your mind busy while you taper and cleaning your system. You can ask questions and let other kratom users help you on a kratom forum. I’ve only taken the Keaton one time! Now that I’ve read about getting hooked on it, I’m scared. You’ll bee fine Helen, just don’t do it, more than once a week if you want to be super safe and be careful not to increase your dosage. I didn’t do either of those and now you about 28 grams a day, everyday and am trying to quit and its really hard but I suffer from addiction in a lot of areas of my life so if you don’t have a history of addiction and you follow the two tips I mentioned earlier you should be fine, but I’m still hooked on it and trying to quit. fortunately though its is one of the least life damaging drugs, as its legal, doesn’t cause you to do violent things or damage your brain, or another permanent body damage. Good luck and just be mindful and careful if your worried 🙂 will post if I quit, I’m trying to whiene of right now which seems to be working so I’m on my way and it is possible ! Kat I am with you. I have been addicted to Kratom for 6-7 years. The withdrawals are extremely hard for me which is why Im still on it. Im trying to get off myself but I cannot. I feel like Im going thru HELL with these withdrawals. Im not sure how long you have been on Kratom but you might try a few things. I take this stuff called Texas Superfoods. It puts 55 Organic fruits and veggies in your system which helps you feel better and detox from substance abuse. Also do research on a Vitamin C detox. That is what Im trying now. You take large amounts of Vitamin C like 30,00 to 60,00mg of Vitamin C. This has helped Heroin addicts with the withdrawals symptoms and in some case completely blocks the withdrawals. This may work well for you. Of course you will get diarhea and gassy and bloated but take Immodium Multi symptom while on the Vitamin C treatment. Anyways google the vitamin C treatment for drug withdrawal. This may work really good for you too. I have learned so much about drug withdrawals, cancer treatments and cures that are already out there that the medical industry doesnt want us to know about. Keep you head up with this. I think you will find something like this that works great for you. There are lots of other things I can share with you if interested. Good luck and never give up on trying to quit Kratom. Has anyone been able to successfully get off kratom? Im having a huge problem tapering down. I cant bear the pain that returns. My tolerance is shot and the withdrawals are brutal. Anyone have better advice?? I wouldn’t totally dismiss the idea of quitting cold turkey. If you can afford to feel sick for a week or two and need to clear you system quickly, then cold turkey is the only way to go. I wouldn’t touch this crap. Period. I stupidly started taking Kratom Extracts to help with chronic daily headaches. It helped so much and gave me so much energy! Now I’m going through serious withdrawals. Within 12 hours of the last time I took some I’m already having cold sweats, and couldn’t sleep last night. Plus my anxiety is at an all time high! My benzos, that I take every day for anxiety, aren’t even helping. It’s godawful, and I wouldn’t mess with it. I just took moderate amounts for 3 and a half months, up until when I reached the 10 grams a day mark. As I had decided before, that’s when I started a tolerance break. One week of taper and I’m off of it, it’s been a full day and I’m maybe a little dizzy but I’m fine. Keep your tolerance in check and you can do anything. It requires a certain amount of self-control, people who have none should never take any drugs.